Access Control verifies authorization in order to regulate who may enter a secure area. An audit of the date, time, and identity of persons who have gained or been denied access into a particular location is kept. We can survey your business or office and install an access control system that best meets your needs. 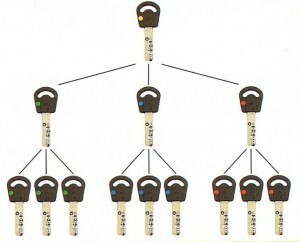 Many types of electronic keys are available. 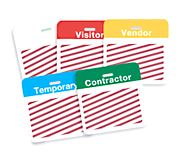 The most common are proxy card badges that are worn by an individual as a form of identification as well as a way to gain entry to a specified doorway. We provide these badges with a custom design chosen by the customer. Once an access control system has been installed, employees may gain access to certain areas in the building by using their badges. Yet, monitoring visitors could present a challenge. 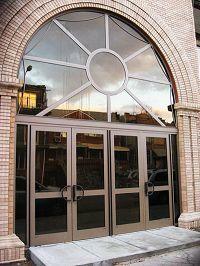 An access control system provides a simple and inexpensive solution. A Visitor Control Management System tracks visitors, providing a record of their identity and their location within the building. 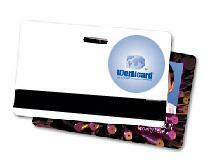 This program uses inexpensive paper badges that are easily programmed to identify a visitor and control the areas they may access until the activation period of the card expires. Along with intrusion, smoke, fire, and carbon dioxide detection there are additional options available in a commercial application. In the event of an emergency it is critical to ensure that everyone can exit a building as quickly and as safely as possible. Should a fire occur, it is crucial to prevent it from spreading to evacuation areas, such as staircases. Certain systems shut doors automatically to safeguard exits. Lighting can be installed that will illuminate the path to the nearest exit. Along with sensors that detect smoke and fire we can install fire alarms that can be manually activated in the event of an emergency. The same type of pull switches can be installed and activated manually (with or without an audible siren) in an intruder situation. These systems can also be controlled and monitored remotely by the use of a modem and a computer. Kleppers installs the most technologically advanced closed circuit television- surveillance systems. These systems provide high-quality, clear, true color video for playback on a digital format. Remote Eyes surveillance systems provide many options ranging from a stand-alone camera and monitor to a more sophisticated PC-based application that records using digital format and can be burned onto a DVD or emailed to law enforcement authorities. Many CCTV systems can be accessed remotely so you can monitor the area from your home computer or from any computer with internet access. These systems can be tailored to satisfy your specific security needs. You may choose the frame rate, adjust resolution, set the system to turn on only when it detects movement, or set the system to stay on at all times, monitor several areas at once, and even record dark areas using night vision technology. 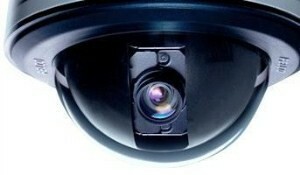 A wide variety of hard-wired and wireless cameras are available such as vandal proof and covert cameras that look like smoke detectors. Ensuring that an entrance is secure does not require a door. Telephone entry systems are an effective tool for receptionists, tenants, and security personnel who are the first line of defense against unwanted visitors requesting entry. We can help you design an entry system that may include identification badges, an access control digital key pad, a card reader, a hand reader, a thumb reader, and/or a biometric device. A masterkey system allows control of access to different rooms/areas of an office, business, or building. 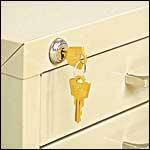 Masterkeys provide added security and are an effective way to organize employee’s or tenant’s keys. A master override key enables the masterkey holder to maintain universal access to all doors and control who may access specific areas. We will customize a master key system to suit your needs and keep accurate records detailing the quantity of keys that were cut, where the keys work, and who was issued a key. Re-keying services restore security to an area that has been breached by an unauthorized person. With this low-cost service we remove the working key and cut a new key that works the same lock without having to replace an expensive locking device. Your personal security and protection of your property are our top priority. Because the need for re-keying often arises without notice, we make every effort to perform this service as needed. Panic devices assure the safety and security of persons occupying facilities. Our skilled professional technicians can offer their expertise in the selection of a device that will provide adequate and affordable protection against intruders. Door closers are a critical aspect of properly securing an exit. These devices ensure that a door closes properly; eliminating the need for someone to check on the exit after a person enters or exits. 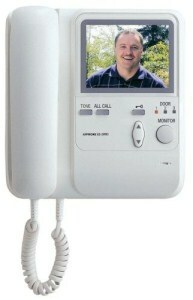 Door operators are an essential aid for those who have difficulty opening doors on their own. Whether you need a door to open or close on its own or want to make certain that your entrance is fully accessible to all customers, clients, and/or employees we install reliable door closers and operators to do the job. We depend on locks to keep us safe and protect our property and belongings. Unfortunately criminals use the internet to learn how to pick locks, to use bump keys, and to target weak points of low-grade locks. Our locksmiths can help you fortify your business/office by installing pick proof, bump proof, and fortified locks that will provide you with the highest security available. These locks include reliable manufactures such as Abloy, Kaba, and Medeco. In order to safeguard your property, we provide specially made keys and hardware that are not available for duplication at any other key shop or retailer with a key cutting machine. You can be certain that employees or tenants carrying keys to your property will not be able to have duplicates made. 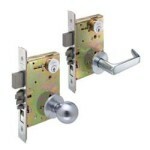 We offer a wide variety of commercial locks that we can adjust to fit your needs. Heavy duty commercial-grade locks are crafted to withstand wear and tear in high traffic areas. We sell quality locksets made by manufactures such as Corbin Russwin, Sargent, and Arrow that have a well-established reputation for quality and endurance. If your door is rubbing against the frame and it is difficult to close and open, the hinges probably need to be replaced. 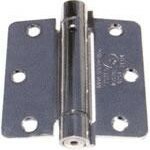 We stock many different types of hinges in multiple sizes. Our experienced technicians can select the correct hinge and install it properly so that opening and closing the door is no longer problematic. Sometimes the hinges on a door are no longer available. We have a solution to effectively repair your door. Roton hinges are specially designed to be mounted to the surface of the door and frame from top-to-bottom continuously. Our mobile service technicians can expertly install a Roton hinge on your door, providing an effective and long-term repair solution. Emergency exits and restricted entryways are most effective when combined with an exit alarm. 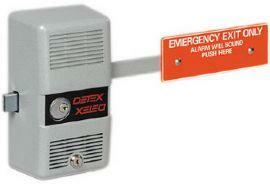 We install alarms that will sound in the event of an emergency or when someone uses an exit without permission. We can assist you with securing valuables and confidential documents in a desk, credenza, file cabinet, or bank teller’s drawer. 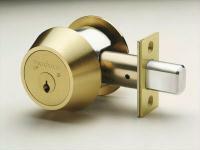 A commercial grade lock, such as those manufactured by Olympus, are tamper resistant. 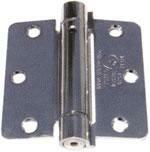 They are specially designed to be much more secure than standard locks that come pre-installed on office furniture. An additional feature of Olympus locks is that they can be keyed to virtually any type of key. For example, the same key that opens your office door could be used to open a filing cabinet. 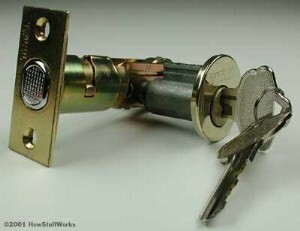 As an additional security measure, the lock can be keyed with unpickable or un-bumpable cylinders. If you find that you have lost a key to a file cabinet, tool box, money box, or desk drawer we can make you a replacement. Frequently, lock manufacturers provide a code stamped near the keyhole. We will use this code to make a new key for you, which will save you the trouble of searching for the missing key. 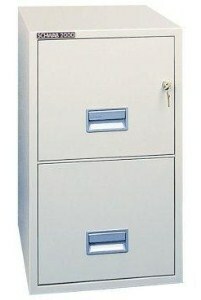 When file cabinets and desk drawers do not work properly a malfunction in the locking mechanism is usually the source. We can easily remedy the problem. Our service technicians are highly skilled in repairing many different types of file cabinets and desk draws. Maintaining the integrity of your locks is essential. Jiggling a key or a hard turn to lock or unlock a door could become a costly problem in the future if left un-repaired. Preventive maintenance will ensure that the area being protected remains secure and will reduce the cost of a future repair before the lock becomes too damaged and total replacement becomes the only option. In order to guarantee that all of your locks are functioning properly, we can provide a yearly service on all your locks or once every six months for high traffic areas. Many of our customers have their locks serviced before winter to prepare for harsh weather. Locks tend to freeze up and doors become hard to open or close in cold weather. A few simple adjustments can prevent your locks and doorways from becoming a very costly problem.